by Stephanie Chipley, a 2013 Judge K.K. Legett Fellow at the Washington Legal Foundation and a student at Texas Tech School of Law. 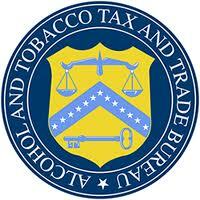 On May 28, 2013, the Treasury Department, via the Alcohol and Tobacco Tax and Trade Bureau (TTB), issued Ruling 2013-2, a temporary, voluntary labeling regulation that aims to help alcohol companies “provide truthful, accurate, and specific information to consumers about the nutrient content of their products on a per serving basis” in “Serving Facts” statements on labels and in advertisements of wine, distilled spirits, and malt beverages. For those companies who choose to use the new labels on their product packaging, the ruling allows the labels to include “serving size, the number of servings per container, and the number of calories and the number of grams of carbohydrates, protein, and fat per serving size.” In addition, companies may include the alcohol content of a product as a percentage of alcohol by volume and a statement of the fluid ounces of pure ethyl alcohol per serving. TTB’s ruling shows just how far companies’ ability to share truthful information with consumers has come since Rubin v. Coors Brewing Co., 514 U.S. 476 (1995). In Rubin v. Coors, Coors Brewing Company applied to the Bureau of Alcohol, Tobacco and Firearms (BATF) for approval of labels and advertisements that revealed “truthful, verifiable, and nonmisleading factual information about alcohol content in its beer labels.” Id. at 478, 483. BATF rejected the application because it believed that § 205(e)(2) of the Federal Alcohol Administration Act (FAAA) “prohibited disclosure of the alcohol content of beer on labels or in advertising.” Id. Further, BATF argued that “the ban was necessary to suppress the threat of ‘strength wars’ among brewers, who, without the regulation, would seek to compete in the marketplace based on the potency of their beer.” Id. Coors argued that the § 205(e)(2) violated the First Amendment’s protection of commercial speech. Id. Ultimately, the United States Supreme Court held that although the Government had a “substantial interest in suppressing strength wars in the beer market,” the ban nevertheless failed to “directly and materially advance [the Government’s] asserted interest.” Id. at 488, 491. Consequently, the ban violated the First Amendment. Id. at 478. TTB’s viewpoints on allowing companies to share truthful information with consumers has come a long way since Rubin v. Coors, and its recent ruling reflects that change. Liquor companies also lobbied for new labels with the goal of advertising “low calories and low carbohydrates in their products.” Unlike the consumer groups, however, the alcohol industry seems to generally approve of the new, voluntary labels. TTB’s ruling sets forth clear standards for those who want to use them and provides the industry with flexibility in doing so. In a press release, The Beer Institute “hailed elements” of TTB’s ruling and its president, Joe McClain, commented on how the ruling “provides substantial flexibility in terms of the format and placement of the disclosure” on packaging. The Wine Institute also supported the ruling, although it noted that wine companies were unlikely to use the new labels. Whether alcohol companies will make widespread use of the voluntary alcohol nutrient labels remains to be seen. Nevertheless, TTB’s new labeling ruling is a positive step toward allowing companies to provide consumers with truthful information about the nutrient content of their alcoholic beverages. This article is well written. Ms. Chipley will surely go on to do great things post graduation.